According to the UGMK.INFO rating, in 2011 the largest exporter in the world became China, while Japan has remained the leader in terms of "pure" export. Ukraine, retaining the 6th place in the top 10 exporters (and the third place in terms of surplus), almost caught up with Russia, which last year was noted by 16% of the fall in exports. Russian steel exports in 2011, according to the Ministry of Economic Development of the Russian Federation, have declined by 16%, to 24.4 million tons, while imports increased by 21.5%, to 5.8 million tons. Thus, net exports declined to 18.6 million tons including, semi- finished goods deliveries abroad decreased by 19%, to 12.9 million tons of flat products - by 11%, to 8.6 million tons of long-16 , 5%, to 2.9 million tons. Imports to Russia rose by 21.5%, to 5.8 million tons including, flat products increased by 13% to 3.5 million tons of long - by 37%, to 2.3 million tons. 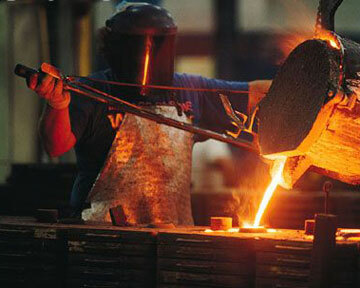 Ukrainian metallurgical enterprises in 2011, increased exports of steel products by 2% to 24.14 million tons. When imports rose by 10% to 1.84 million tons, and a positive trade balance amounted to 22.34 million tons. Last year, Ukraine has reduced export semi-finished goods 5% to 10.81 million tons, including, billets - 13%, to 5.14 million tons, while the supply of slabs rose by 1.6% to 5.572 million tons. In 2011, Ukrainian steelmakers have reduced exports of long products by 0.1%, to 5.77 million tons, including exports valves - by 7% to 2.25 million tons, rods - 4, 6% to 1.7 million tons of flat steel deliveries last year rose 15% to 7.56 million tons, including an increase in exports of the c / c rolled by 15% to 6.52 million tons, c/k rolled steel products - by 11%, to 0.9 million tons. According to ISSB, the 3rd largest exporter in the CIS remained Kazakhstan, external supply of which in 2011 decreased by 11%, to 2.5 million tons of steel exports from Belarus increased by 6% to 1.8 million tons.